Join us at an exclusive Charity Golf Day on Tuesday 24 April at Swinley Forest Golf Club. 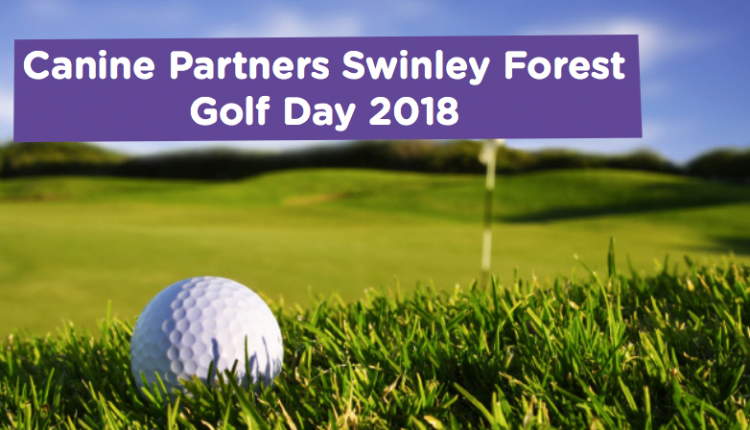 Would you like to join us at an exclusive Charity Golf Day to be held at one of the world’s best golf courses, Swinley Forest Golf Club? Guests will enjoy the opportunity to play a round of golf on one of the world’s most exclusive courses, receive a golf goody bag (three balls, tees etc), enjoy a three course sit down carvery lunch, take part in our Super Raffle and find out more about Canine Partners from a talk and demonstration. All proceeds from the day will contribute to funding the training of our incredible life-changing assistance dogs. Ticket information: £1,000 for a team of four. Please note that team spaces are limited. For more information and to request tickets, please use the contact details or form below to request a registration form. Sponsorship of the whole event (£10,000) with branding on all future communication and literature. We can tailor this marketing opportunity to best suit your needs, so please call us to go through your requirements in more detail. If you would like to support us by donating a gift for our Super Raffle, we would be very grateful if you could let us know as soon as possible to ensure that we can include a full list of prizes in the golf day brochure. As a charity we rely on help from larger organisations to reduce our costs, ensuring that the maximum amount of money raised goes straight back to the charity. If you would like to work with us on this or any other event, please call us to discuss in more detail. To discuss any element of the golf day and how you can help to make it a success, please call Libby on 01730 716019 or complete the form below. A huge thank you to our sponsors for helping to make this event possible and raise vital funds to transform lives. Strutt & Parker are entering a team of 4 as well as sponsoring a hole at this event. Strutt & Parker are Property Search Specialists with offices across the UK. Nurture is sponsoring a hole at the event. Nurture is an award-winning national horticulture and landscape maintenance business, enhancing asset value and enriching the environment.